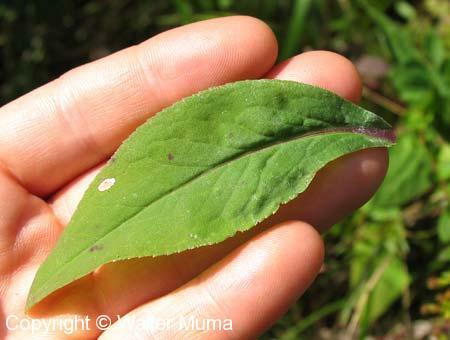 Distinctive features: Ridged stem, very rough leaves. 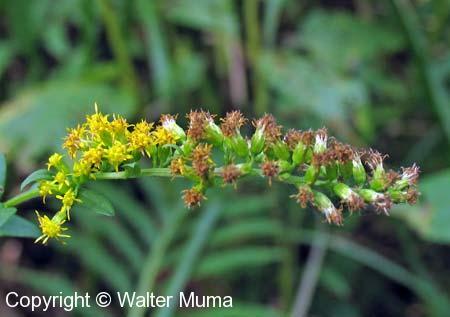  Rough-stemmed Goldenrod (Solidago rugosa) - has both a rough stem and rough leaves. Stem: Ridged. Books often refer to it as 4-sided, but this is misleading; the stem is not 4-sided but rather is ridged. 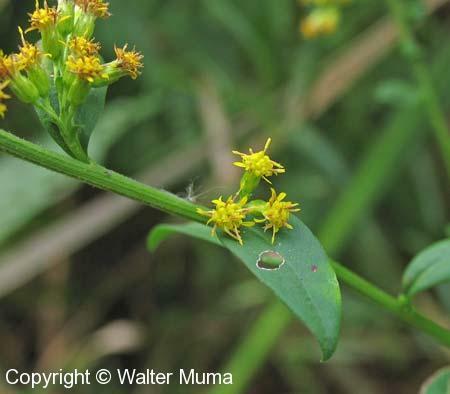 Habitat: Wet Areas; Damp, wet areas. Photographs: 146 photographs available, of which 16 are featured on this page. SCROLL DOWN FOR PHOTOGRAPHS. 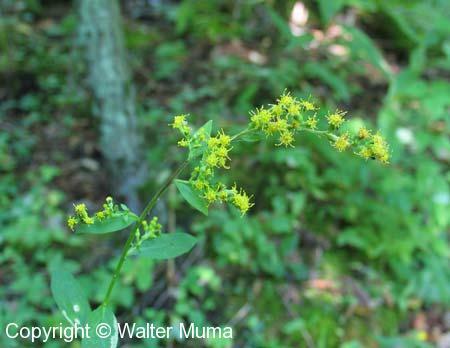 Rough-leaved Goldenrod doesn't have a lot of flowers. 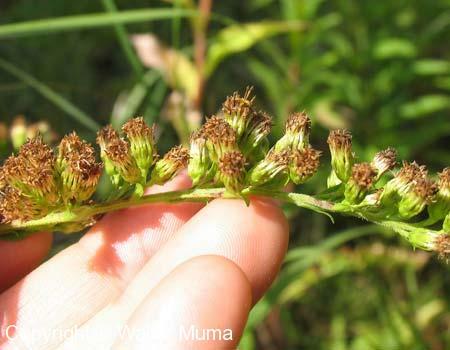 They tend to be scattered along the stem, sometimes with a raceme at the end of the stalk. 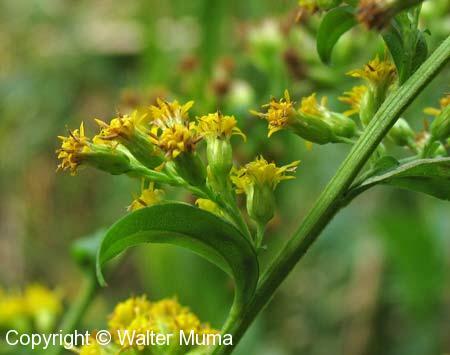 Note that the flowers are somewhat large for Goldenrod, and the clusters don't have a lot of flowers in them. 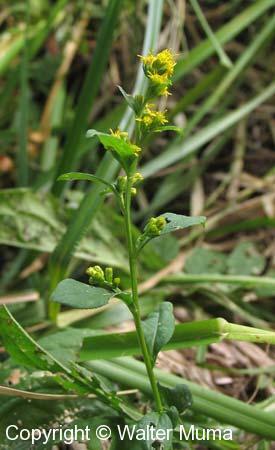 As with other Goldenrods, the flowers bloom from the end of the stem down. 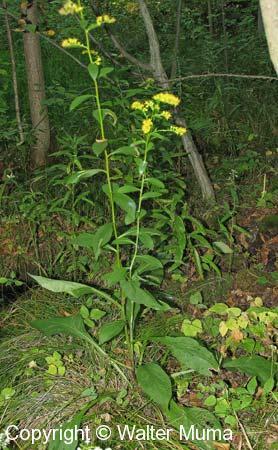 A photo of the overall shape and growth form of this species. View of the lower portion of the plant. 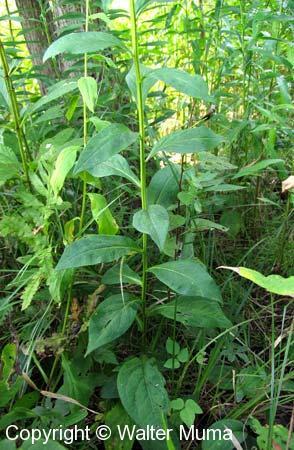 The lower stem leaves are very large, and clasp the stem. Leaves higher up the stem are a lot smaller. 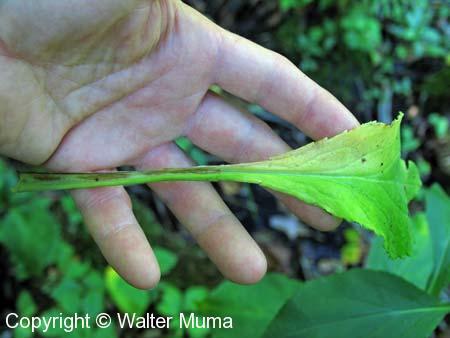 The stem. It is NOT square, like the books say, but rather it is ridged. The ridges are obvious in the winter remnants. 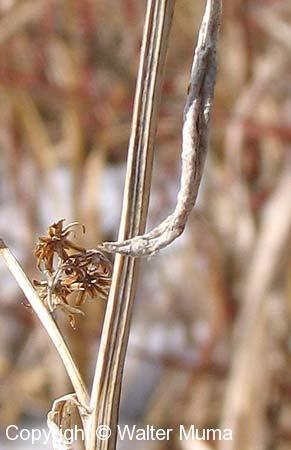 Rough-leaved Goldenrod in the winter. The leaves will often hang on. 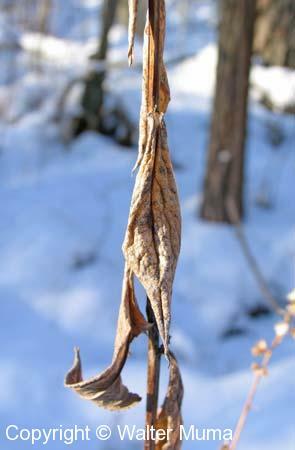 Seeds in the winter (mid December).